Awards have been presented to all those who brought colour and cultivation to the borough as part of this year’s Havering in Bloom competition. 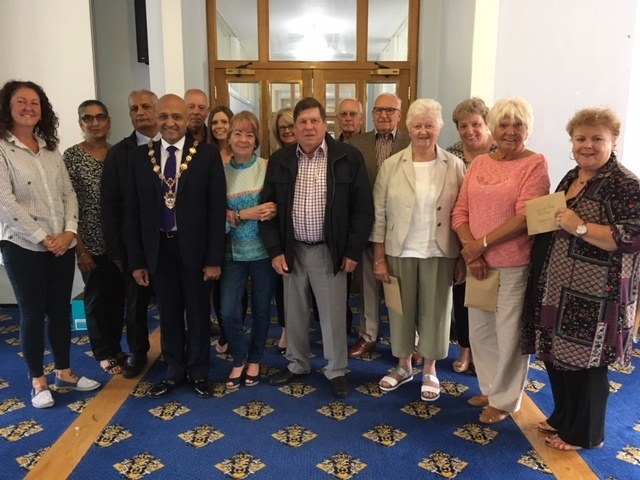 From Best Community Garden to Best Hanging Basket to Best Allotment and Best Front Garden, the efforts from local residents, businesses and schools, were rewarded at a special lunch with the Mayor of Havering, Councillor Dilip Patel on Tuesday, at the town hall. Mayor of Havering, Cllr Dilip Patel, said: “What a wonderful achievement by all and I would like to congratulate the winners but also everyone who took part. “The dedication and work that has been shown by these residents, businesses and schools, is a fantastic reflection of how much they enjoy their communities and want to help to make it look nice.